Sometimes you just want a little chocolate cake. A little something not covered in frosting but consistently delicious. 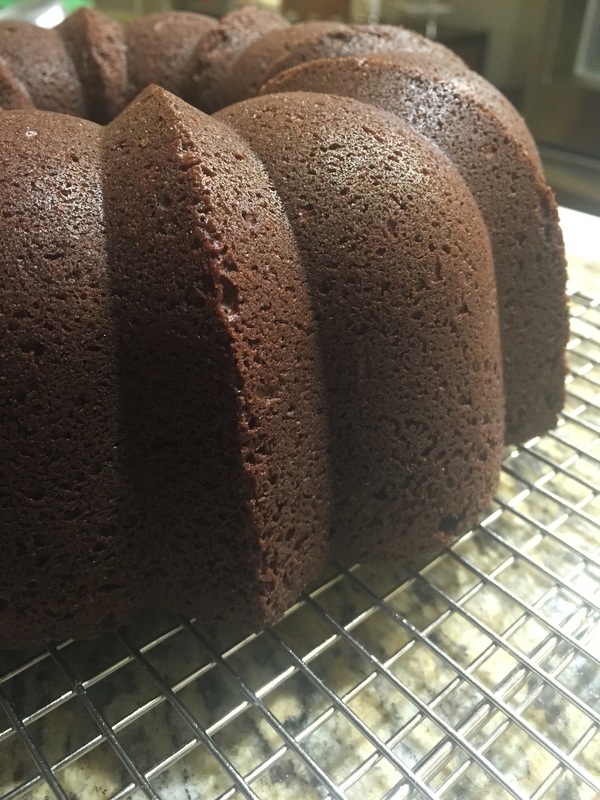 There are many chocolate cake recipes out there but this one is simple, there is not hot water or espresso powder-just simple ingredients you probably already have. Cream sugar and butter, add eggs one at a time then the sour cream and vanilla. In a separate bowl whisk together flour, cocoa, baking soda and salt. Add dry ingredients to wet and beat on medium speed for a few minutes. (3-5). Spray a bundt span with flour baking spray (or grease the pan and dust with cocoa powder). Pour batter into pan and slip into a 350 degree oven for about 45 minutes. Until a tooth pick comes out clean. Cool and dust with powdered sugar. That’s it honest – keep it simple. I don’t send Christmas cards but I receive many every year. Acknowledging the effort people put into remembering me at the holidays is important. So, each year in January (or early February if my birthday celebrating takes over) I make a special candy treat, write new year well wishes on cards and send off a little something to everyone who sent me a card. This year I opted for toffee. 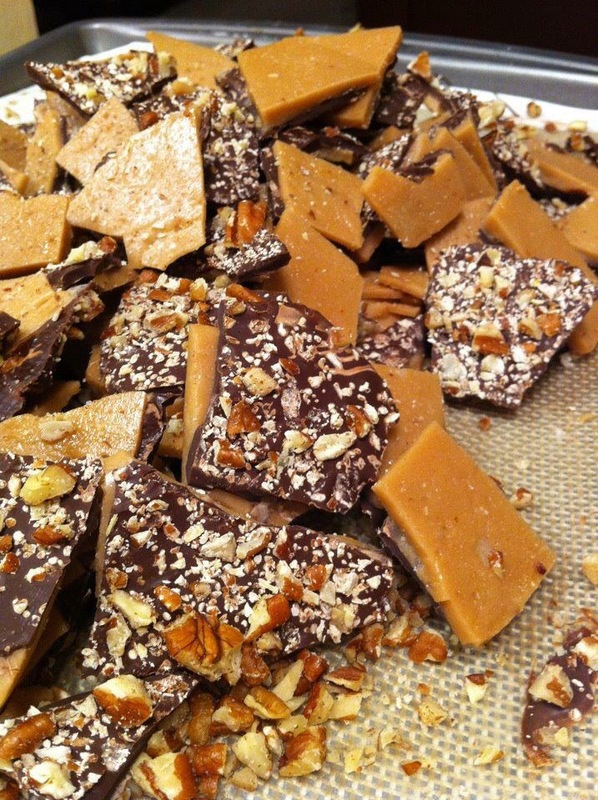 Super easy, always reliable toffee crack! In a microwave safe 8 cup glass bow (I use a glass measuring cup type batter bowl) heat the butter and sugar in 1 minute increments – stirringn after each session. Critical note – use a wooden spoon to stir. I have tried other utensils but they always break the mixture. My microwave takes a total of 8 and 1/2 minutes to get to the beautiful caramel color you want. Spread pour onto a cookie sheet lined with a silpat (or greased aluminum foil). I generally take a big offset spatula and spread it out. 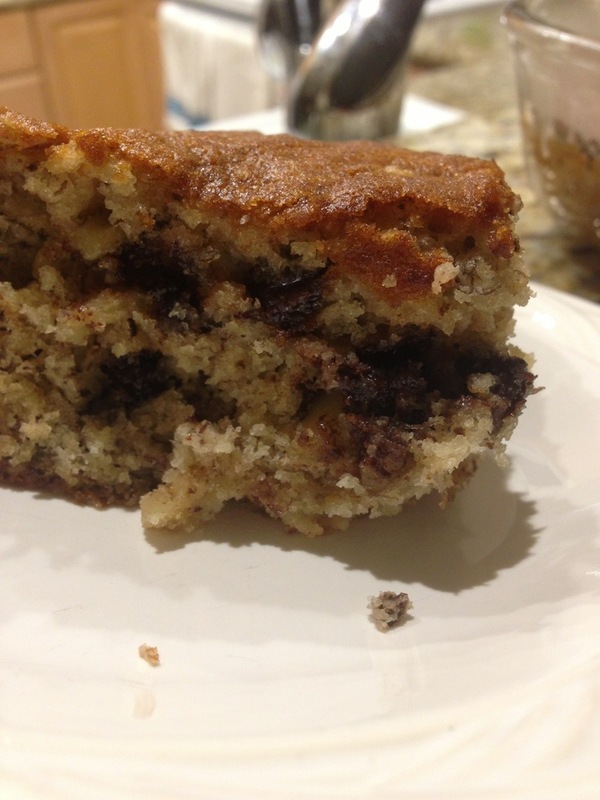 Work quickly and then top with loads of chocolate chips. I generally toss it into a 350 degree oven for a couple minutes to help the chocolate melt. 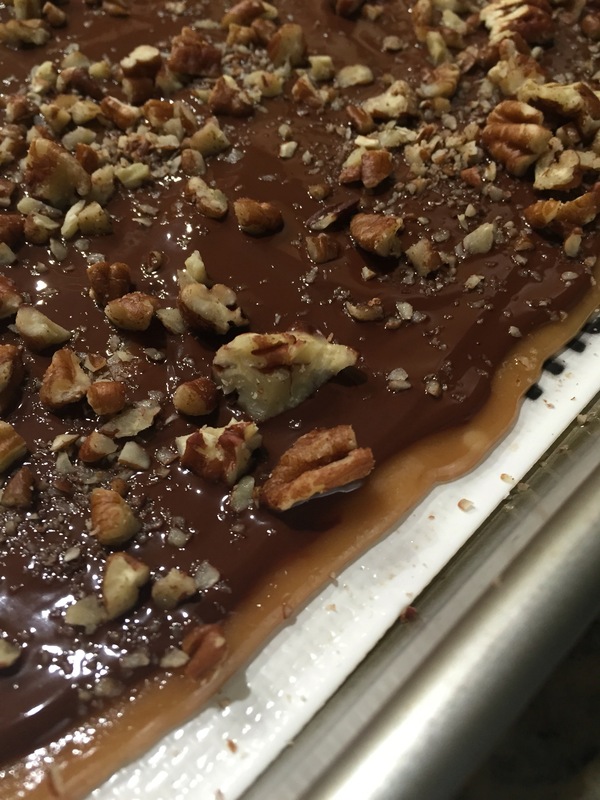 Then using an offset spatula, I spread the delicious melty chocolate over all of the toffee. Top with finely chopped pecans and let cool completely. Break into bit sized pieces and enjoy! I typically package in cello bags with a cute ribbon. I like to keep things simple, delicious but simple. A few years ago I became obsessed with high quality chocolate that doesn’t have milk (making it a useful ingredient if you have lactose sensitive family or friends). 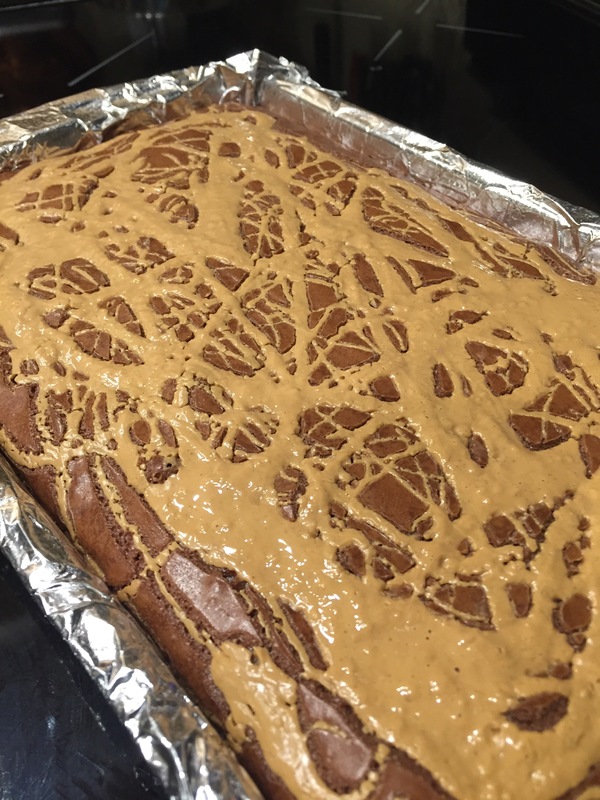 I also love peanut butter and while there are a lot of recipes for peanut butter brownies, I found most wanted you to make a peanut butter frosting and I couldn’t be bothered. Chop chocolate and put in microwave safe bowl with the butter. Heat until the butter melts and stir until the chocolate is completely melted. Add sugar and mix well. Then add the eggs and vanilla. Lastly, add the flour and mix until combined. 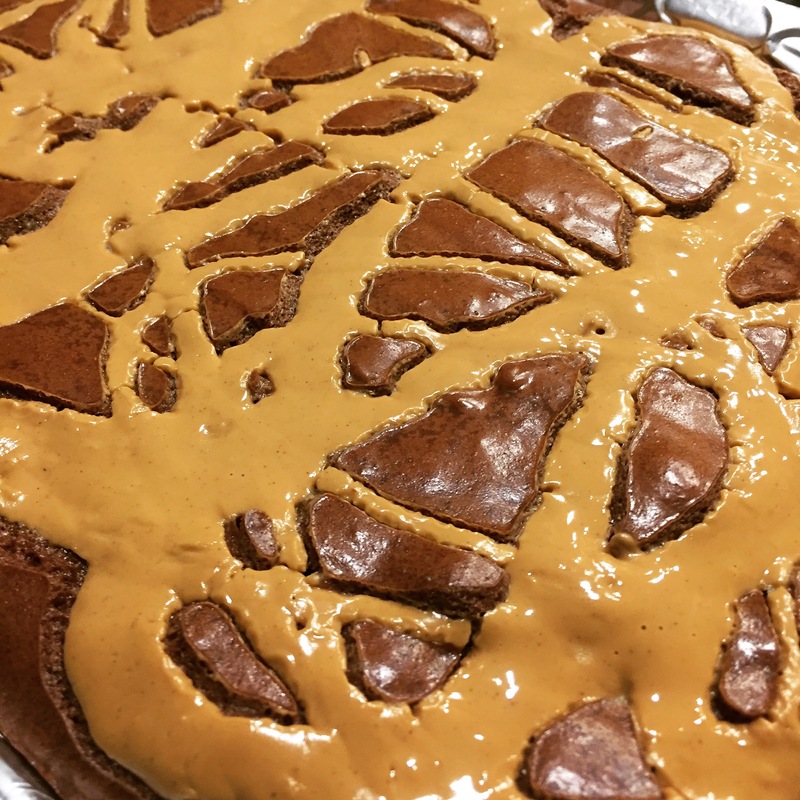 Pour into a 9×9 or brownie pan lined with foil and either greased or sprayed with non-stick spray. Bake at 350 for anywhere between 30 and 40 minutes. You don’t want the center to jiggle. Cool completely and cut into 1 inch or so squares – these little guys are super rich! I absolutely love fresh baked bread but the hours of rising and babysitting make instant gratification impossible and the likelihood of making fresh bread on a weekday less than zero. 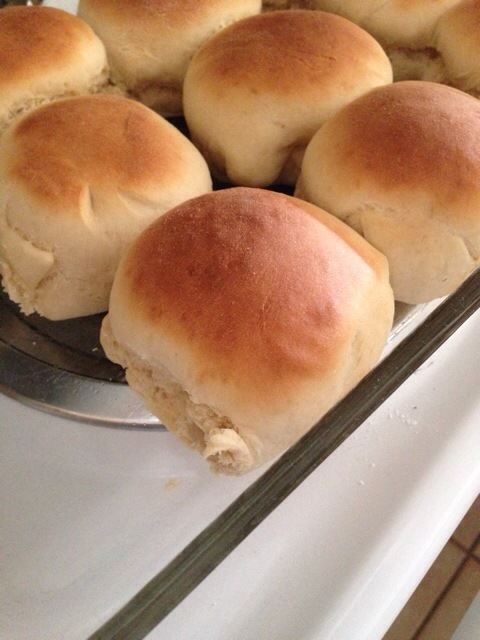 Enter 30 minute rolls! That is start to finish (mine took about 35). With the dough hook attachment on and going add in your beaten egg and salt. Then add 2 cups of flour. Once that is combined slowly add in the remaining 1 1/2 cups. Let the dough come together and kneed for a couple minutes. Turn dough out on lightly floured surface, divide into fourths and then each fourth into even thirds (12 balls of dough) form into round balls and place in a 9×12 greased baking dish. Set oven to 400 degrees and let dough rise/rest while the oven heats (give it a solid ten minutes). Bake for 10 to 15 minutes until nicely browned. We’ve all been there, you had high hopes of eating those bananas the minute they are perfectly ripe. But, you blinked and they went from perfection to perfect for baking. This bread has a lot of bananas in it, so you almost have to plan for it. It also has an ingredient you will almost never find in our recipes, vegetable shortening. Butter just doesn’t give the right texture so shortening it is. Cream the sugar and shortening together. Add eggs one at a time until mixed then add the bananas all at once and the vanilla. Add the baking soda, powder and salt. Then add the flour. Remove from mixer and fold in nuts and chocolate chips. Grease and flour a 9 x 13 pan (i generally use glass. This bread is really more cake like. You could do it in bread molds but I am lazy). Pour mixture into pan and spread it out so it is even. Bake at 325 for 45 minutes. My friend has been gone, in Italy to be exact, for over a month now and her return occurs tomorrow. I don’t need more cause for a celebration than that, do you? 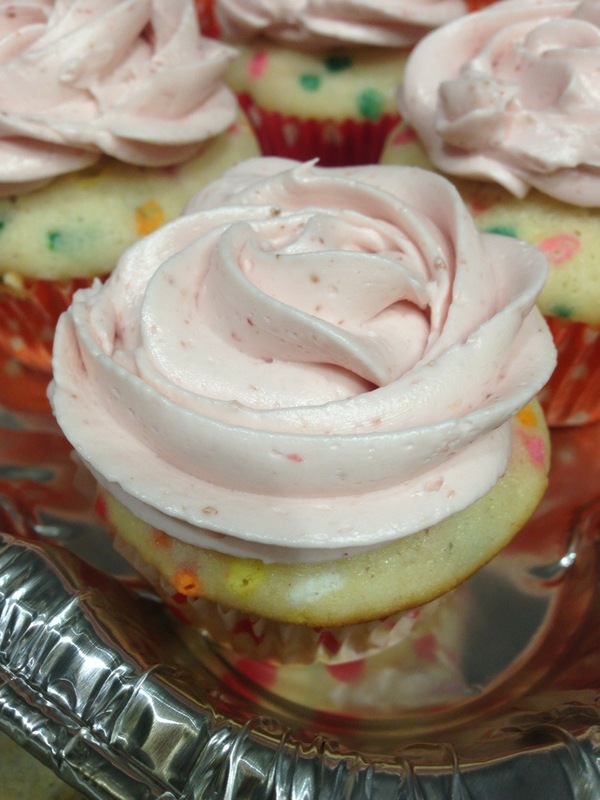 Her favorite cake is funfetti and she loves fresh strawberries so funfetti cupcakes with fresh strawberry Italian meringue seems fitting. 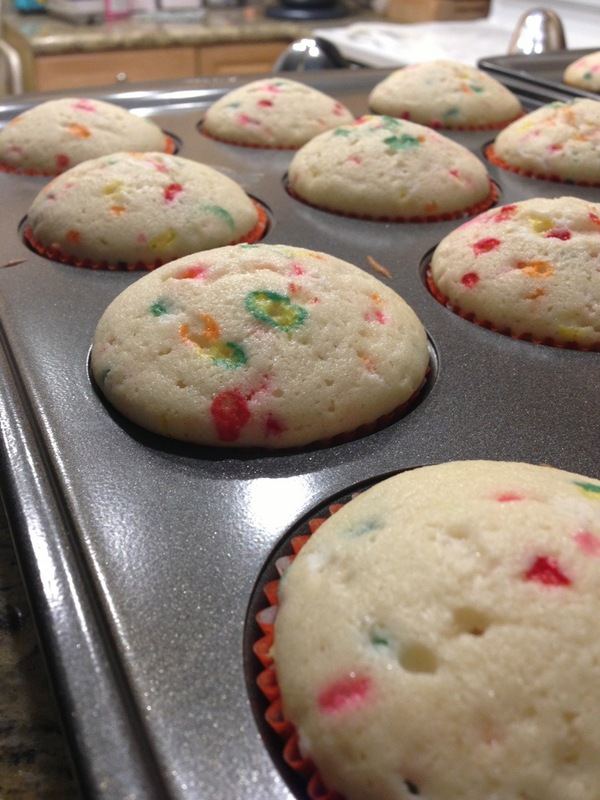 Fill lined cupcake pans. Bake at 350 degrees to 16 to 18 minutes. De-stem and hull about 15 strawberries and puree. Then run through a sieve to catch any big bits. Set aside. You might not need all the puree. Whisk in a bowl over a double boiler until the mixture reaches 160 degrees. Pour hot mixture into a stand mixer with whisk attachment. Whisk until at room temperature – it took me about 12 minutes. 3 sticks of room temp butter cut into tablespoon pieces. Add to mixer while whisking one piece at a time. Allow it to fully blend before adding another piece. After all butter has been added allow it to whisk a few minutes more then add the strawberry puree (start with about 1/2 a cup) add more until flavor is right. Keep whisking. Eventually the frosting will look like it has broken but don’t panic, keep whisking it will come together. I used a closed star tip to make it look a little like a rose. I have still not found or figured out a chocolate cake recipe that will be my final goto recipe but this one was delish, came together quickly and baked up nicely. Whisk together all the dry ingredients, including the sugar. In a separate bowl combine buttermilk, oil, eggs and vanilla. Slowly add dry to wet then add the hot liquid slowly just until combined. This is a very liquid batter. Makes 2 dozen cupcakes filled 2/3 full (I generally use a large cookie scoop to fill muffin tins). Bake at 350 for about 30 minutes but follow your nose, when they start to smell like delicious chocolate cake test with a toothpick. 15 drained and patted dry maraschino cherries finely chopped (I use a small food processor for this and the liquid that happens in this process is fine and will be directly added to the frosting). Beat the butter, sugar and vanilla for longer than you think. Maybe five minutes. Then stir in cherries. Use your favorite frosting method. Heat cream pour over chocolate. It should be fairly thick. I usually just eyeball this so my measurements are best guesses. Let cool until room temp. 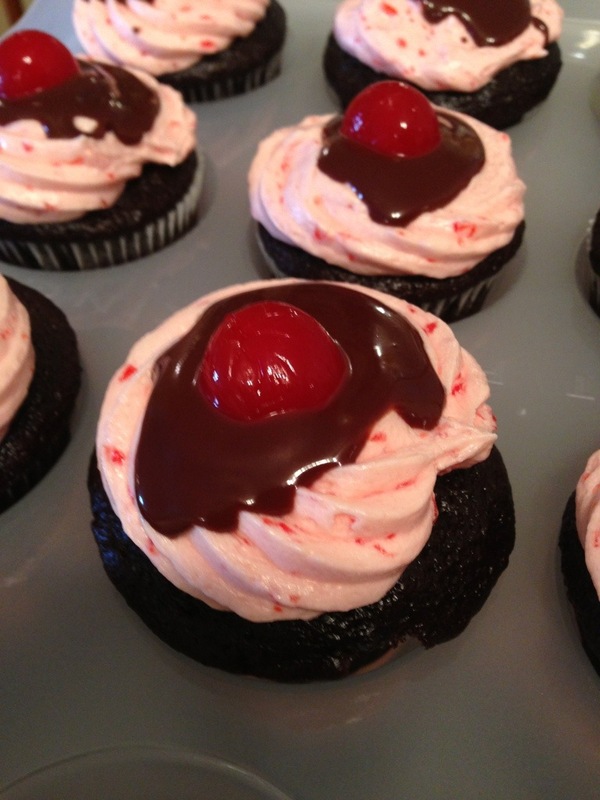 I used a squeeze bottle to pour ganache on the cupcakes but you could also use a spoon. Top with whole maraschino cherry. And eat! They were so tasty.